Hoot is currently working for a group of shady pigeons and hopes to achieve his dream one day. I love hoot, he’s adorable, and I really like his backstory. Working with shady pigeons, lol. 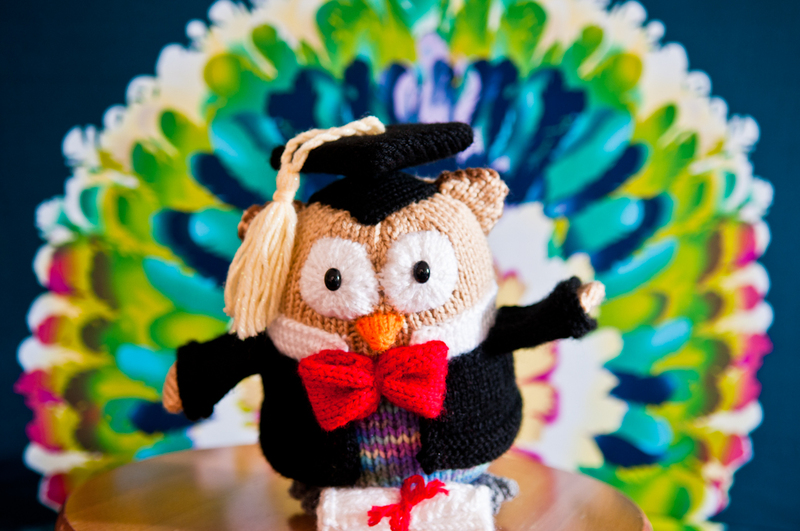 that’s funny :) I’m sure any student from hogwarts would love to have hoot. AWWwwww Thank you!!! I think Hoot is planning a trip to the Harry Potter theme park at Universal Orlando!! 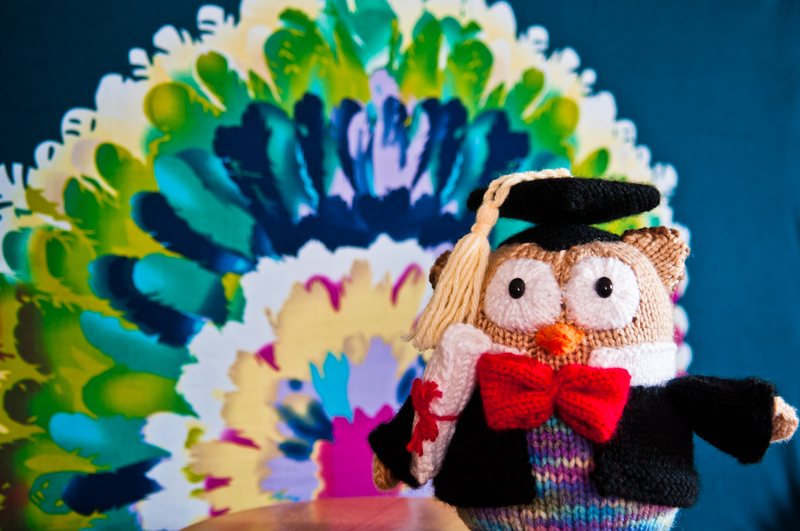 I think Hoot might have had a few too many drinks at the graduation party with some of those pictures of him keeling over or standing on his head! He is adorable! I’m sure Harry would be happy to have him by his side. 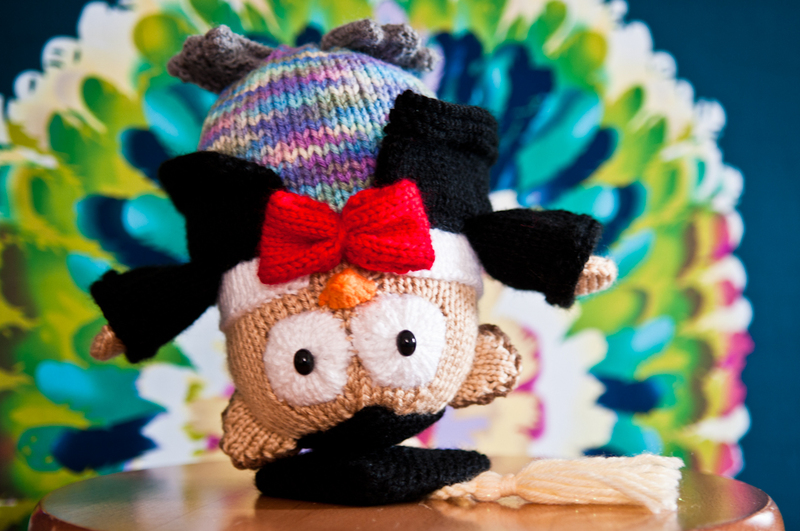 I love the picture of Hoot on his head! 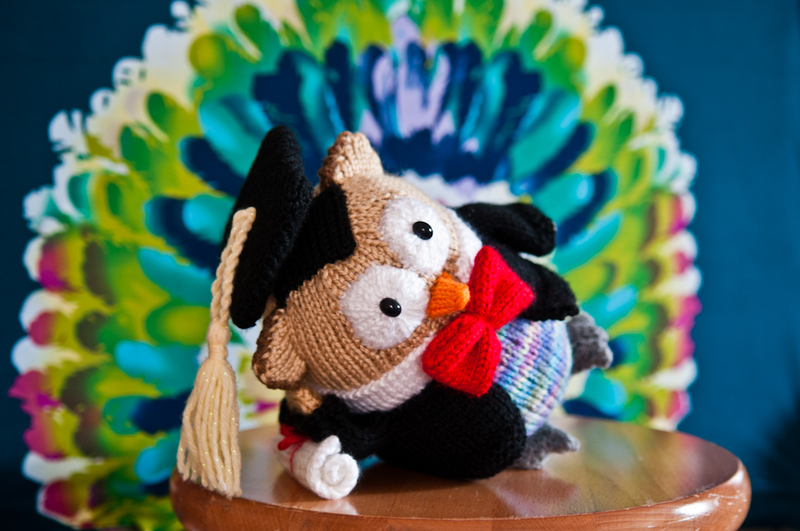 ( I also love his mortar board and scroll as I recently graduated too!). Off to work! Just need to find someone who wants to pay me to knit! OMG – he’s so cute! 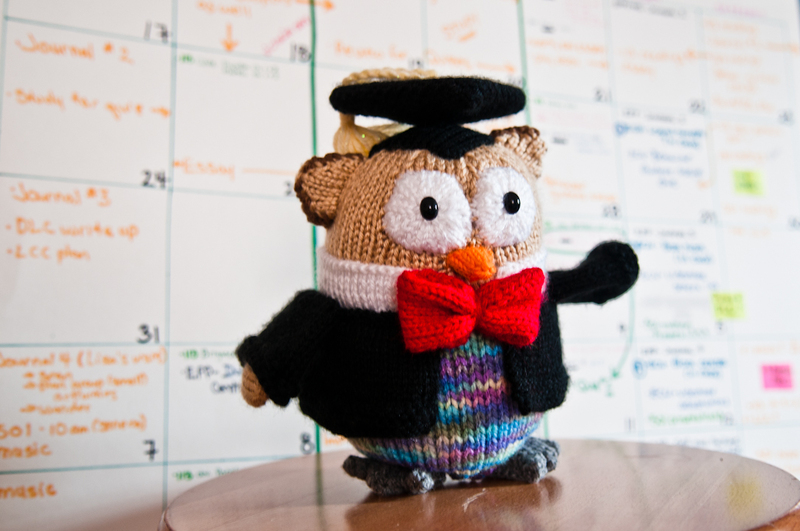 Oh dare I say it…..Hoot is cute. I made me laugh!!! HAhahaha i’m glad!!! Sometimes I try to add some sort of humour and i’m glad it made you laugh!! Awwww it’s one of my favourite as well!! 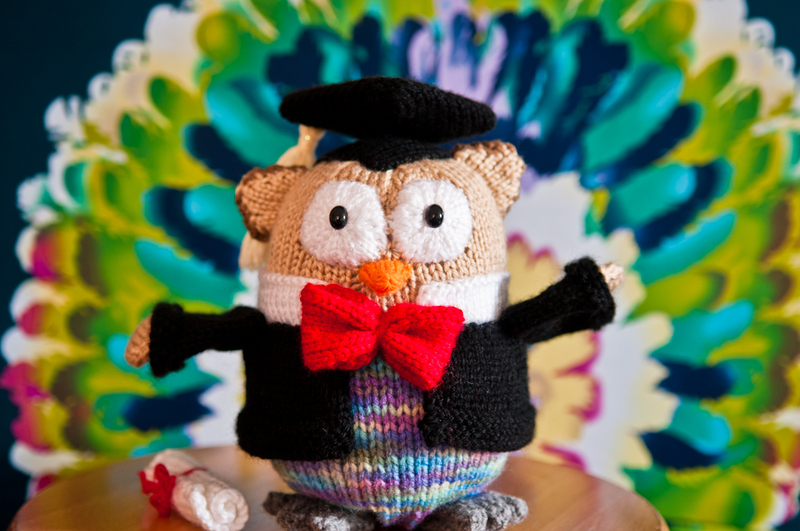 Oh Hoot is so cute, I think Harry would have been proud to have him as his owl. I fancy having a go at some of Jean Greenhowe’s patterns but wonder how easy they are to put together once knitted? OHHHh Jean Greenhowe’s patterns are nice because the instructions are SOOO detailed! It does take a while to put all the pieces together but very satisfying at the same time! I love knitting in rounds so I always read through her patterns first and then decide if knitting in a round is possible or not and usually it is. I do this to avoid purling and to avoid all the seeming at the end! Good luck!!! So cute and great photos! I have some sewing patterns for owls, and that’s really inspired me. That made me smile! Love the character you have built up around him, and he is adorable! Reblogged this on Alan Little Journal.